1 lb. 5 lb. 25 lb. 55 lb. $1.99 to $52.99 & FREE Shipping on orders over $59 $35. A great way to add body and head retention to your homebrew. Used especially for stouts, flaked barley can be used across practically all beer styles and is an essential adjunct to have around the brewhouse. Flaked Barley adds protein for body and head retention, without adding fermentable sugars to your wort the way you would with a wheat malt, which makes is great for tweaking the body/head characteristics of a recipe without changing the rest of the grain bill to accommodate a fermentable grain. Add to your grist and mash just like any base malt. 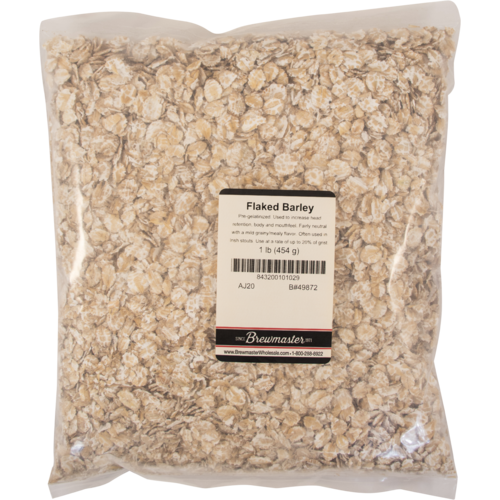 This is the only flaked barley available at more beer. I wish i new the manufacturer. Looking for ingredients for Irish Stout and MoreBeer tends to ship things quicker. You were out of flaked outs and thought I'd give it a try. 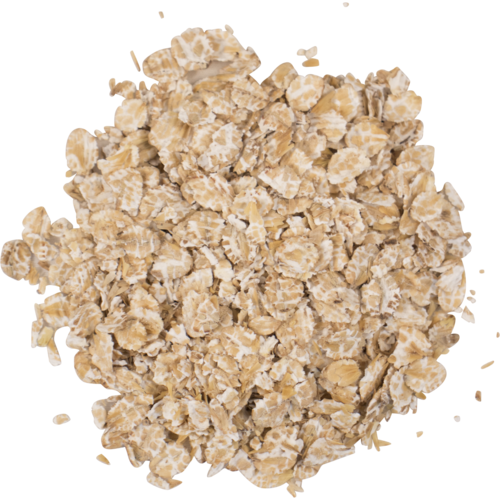 Do you need to grind flaked Barley before adding to mash? You don't need to grind flaked malt in my opinion. I done it before and I see no difference. If you are a bit scare of getting stuck mash. I highly recommend rice hulls. I use rice hulls in all my mashes and never had a problem. Half a pound per 5 gallons. Nope, just throw it in there. A large amount of flaked barley can gum up the mash and cause a stuck sparge so consider using rice hulls if the recipe calls for a lot of it. No you don't. Just stir it frequently in the mash! And use some base malt if you're doing a partial mash. Not at all! It adds a great amount fo creaminess, in small volumes. No, you do not need to grind. Nope, it's good to go. you send me email that the flaked barley is in... I tried to order it and says it is on backorder??? BEST ANSWER: Hi Bill - Our 25lb sacks are in stock but please allow our product team 1-2 weeks to prepare the 1lb and 5lb bags.